GARBERVILLE, California – It’s a big, hairy ape-like creature that has a distinctive fowl odor say those who claim to have encountered “Bigfoot,” or “Sasquatch,” as its commonly called. The creature is legend around the world, and especially in northern California where’s it’s been sighted on a regular basis for the past 150 plus years. Recent Thanksgiving week new sightings in Garberville and other redwood communities have concerned both residents and the California Department of Fish and Game. At the same time, there's been recent reports of Bigfoot or a creature like it in and around the Eugene area. In fact, one local resident of the Eugene suburb of Alpine noted "seeing Bigfoot over Thanksgiving" while walking his dog in the woods near his home. Bigfoot has been a regular "visitor" to the Eugene area, say local U.S. Forest Service officials who've fielded hundreds of calls about Bigfoot in the woods of western Lane County. While the California Department of Fish and Game and local and state police departments are responding to recent Bigfoot sightings by locals and tourists in and around Garberville in Humboldt County, there’s a view around here that “Bigfoot will be Bigfoot, and that’s what he does from time to time,” says Garberville resident Ian Halmrast. Still, other locals say they’re scared for both themselves and their children. One local film maker from the L.A. area recently made a film about the legend of Bigfoot, and noted “it’s not aggressive when confronted by humans. The film maker also found evidence of Bigfoot kidnapping children from camp sites, but not harming them. “There was this sound of food being scraped from a plate, and then an unbelievably loud cry as if someone was in pain. We ran towards it, and heard the sharp and brittle crack of the tree branches. We could then see this big thing run into the forest,” says Halmrast while breathing an exasperated sigh after the story he told. During the recent Thanksgiving week -- with thousands of tourists and other visitors stopping to enjoy the redwood trees -- the recent new sightings of Sasquatch began to unfold. “We first heard that he (Bigfoot) was back when a told us about a police report of something scaring people in the nearby forests. We all thought Bigfoot right then and there because we know it’s out there somewhere,” explains Deborah Dorsey who works in a local café. At the same time, Dorsey notes that her brother Steve works at a nearby redwood tourist center that “markets Bigfoot” for tourists. “Steve says he sells more carved Bigfoot figures and signs than most anything else during the busy summer months. While the police and the scientists who come up here discount the existence of the big guy, we know different because the stories have been going on for so long,” explains Dorsey who notes her grandfather telling her about Bigfoot when she was a kid more than 60 years ago. Anyone conducting research about Bigfoot or Sasquatch will find hundreds of thousands of references to the creature’s existence. Even accredited researches such as ape expert Jane Goodall have noted believe in such a creature existing both in North America and in various other places throughout the world. Still, Bigfoot remains one of the most famous and controversial creatures in science today. Those who’ve reportedly seen Bigfoot describe the ape-like beast as ranging between six to 10 feet with dark reddish hair and the weight and size of a big bull or cow. Those who’ve alleged to have seen the creature say it has large black eyes and a sort of cave-man like features. Here in Garberville and other small town in the redwood forest region of Northern California the main claim to fame that Bigfoot is about “always seems to center on his footprints,” says local forester Wayne Cruthers. “We’ve seen photos of Bigfoot tracks that have a sort of claw look like a bear’s footprint. You sort of look in disbelief that such a thing could be around your home and kids,” says Cruthers with a helpless wave of his hands. We were going to be clever and title this post, "Bob Saget X Bigfoot." But decided to go with what the twitterverse calling it. 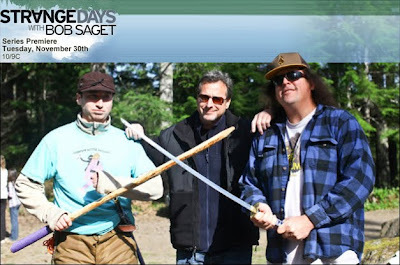 We are very excited to see A&E's Strange Days with Bob Saget. The "Let's Go Squatching" episode Premiers Today (Tuesday, November 30th) at 7:30 PST on the west coast. If you have Comcast its on Channel 752. If you do not have Comcast, look it up. The blurb below is provided by A&E's website. Bob travels to the Pacific Northwest to search for Bigfoot with the BFRO, the Bigfoot Field Research Organization. Along the trip he meets some interesting characters who all have their own Bigfoot experiences, and take Bob into the wilderness so he can hopefully have his own. Bob tags along on search expeditions in the deep woods in the middle of the night with all the latest hi-tech equipment and night-vision technology. The woods are full of characters on a weekend like this one. You can get the inside scoop from the folks that were there with Bob Saget. You can also check out A&E's promotional website for Strange Days here. Today the Hindustan Times reports a new road that will be built near the Sakteng Wildlife Sanctuary, a sanctuary established with the sole intention of protecting the Yeti. On the himalaya2000.com tourist web site, the Sakteng Wildlife Sanctuary is described as a preserve specific for the Yeti. HindustanTimes.com: Tawang (Arunachal Pradesh), November 29, 2010 -- Locals here have for ages lived in awe of a ‘monster’ called China. They are now wary of being haunted by another — the mythical Himalayan yeti. The Border Roads Organisation (BRO) is developing a road through Bhutan to have faster access to the western district of Tawang, around 550 km northeast of Assam capital Guwahati. This road via Udalguri in Assam connects the Bhutanese district of Trashigang before terminating at Tawang. “This road is expected to be completed in three years,” Tawang deputy commissioner Gamli Padu said. There is a sense of fear among the locals. But they are enthused by the possibility of this unseen mythological monster, known for scaring campers, boosting tourism in Tawang. “We fear the yeti,” says Tawang-based trader Yishe Jungney. “But we know it means no harm unlike them,” he added, pointing towards Tibet. The BRO, though, has refused to talk about the road through the tiny Buddhist country. “We are only working on a shortcut to Tawang that reduces travel from Guwahati by 93 km,” said a senior officer of the 14 Border Roads Task Force based in Tenga, 205 km south of Tawang. Fisher Price Bigfoot really Cheap! 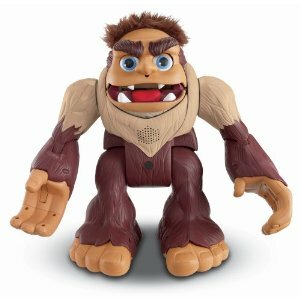 Thanks to the IHeartSavingMoney.com website they have found a couple of really good deals on the Fisher Price Imaginext Bigfoot Toy. You could save up to $30 bucks off the retail site. We have one ourselves and it is super cool! Make sure you hint to your familiy members and tell them about this great deal. I found a great deal that I thought I would share with you all. My little one loves that Fisher Price Bigfoot Monster. It is a love/hate relationship. It scares him to death but he loves to watch it when we are out shopping at Target. All weekend he has been holding on to a picture of it from a sales circular…so I decided to see if I could find a deal on it. Well–I did and went ahead and grabbed it for Santa to bring. Amazon has Fisher-Price Imaginext BIGFOOT the Monster priced at $84.88. Well there are two promotions that make this deal even better. First you get the Amazon Exclusive Limited Edition Brown and Cream Bear by Gund for FREE with the Bigfoot toy and you can use the code FPBF5015 to save an additional $15!! That means you get Bigfoot and the stuffed bear for $69.88!! I used some Amazon credits that I had…but if you use your MasterCard to purchase $75 or more in eligible items from the Holiday Toy List, you can get free 2-day shipping OR if you’re an Amazon Prime member, you’ll receive a $10 credit towards a future purchase!! So Amazon Prime members can get both for as low as $59.88—WOW!! 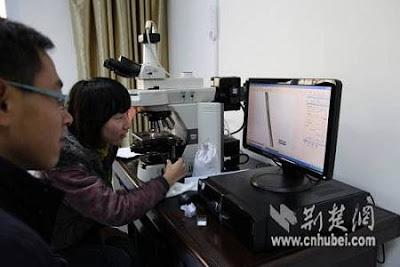 Chinese think hair of unidentified creature is from Hubei "Wild Man"
SRC: Global Times: November, 23 Hubei province (China), The Shennongjia Nature Reserve in Hubei province has examined a strand of hair which it has not managed to identify, prompting local people to speculate that it may belong to the "Wild Man" – China's own Bigfoot. Piao Jinlan, a researcher at the reserve, said that scientists need to continue their tests before they can identify the species. 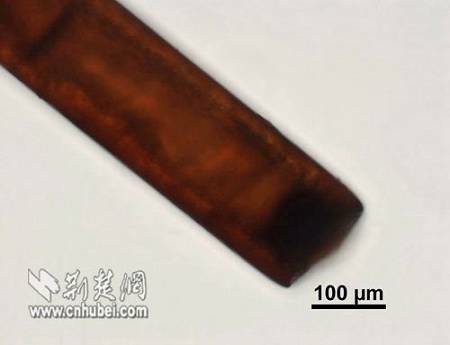 The hair is said to be thicker than human hair and thinner than horsetail hair, and the reserve posted a photo on its website on November 22. More than 400 people have claimed to have seen the half-man, half-ape "Wild Man" in the area in the last 100 years. Witnesses describe the creature as walking upright, more than 2 meters tall and with grey, red or black hair all over its body. A New Video has been released at the oregonflyfishingblog.com. Its a montage of the investigation headed by Cliff Barackman. At the end it somewhat documents the discovery of a print near a pizza place. 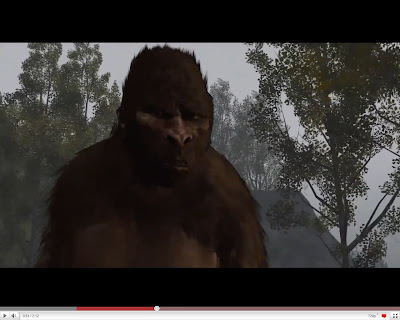 The second video, which we find more satisfying is one we first saw on Cliff Barackman's Blog. Stan Courtney to Present Bigfoot: Myth or Reality? We have interviewed Stan Courtney in the past. According to his Website and BND.com he will be giving a presentation this Saturday (11/13/2010). BIGFOOT PROGRAM: Stan Courtney, a member of the Bigfoot Field Researchers Organization, will give a program on "Bigfoot: Myth or Reality?" at 2 p.m. Saturday at the Belleville Public Library, 121 E. Washington St., Belleville. Attendance is free, but seating is limited. For information or to make a reservation, call 234-0441, ext. 19, or stop by the second floor reference desk. Video game developers love to hide extra missions and call them Easter Eggs. In fact we dedicated a whole post to Bigfoot Easter eggs in our post titled Virtual Bigfoot Easter Eggs. Recently Rock Star, a game developer has revealed a secret mission in the game Red Dead Redemption. At first glance it seems like a Sasquatch Slaughter fest. The hunting down of saquatches in this game offended some people in the Bigfoot community, but most don't realize this is a means to an end. If you follow the story arc all the way to the end you realize the main character was mislead by inaccurate Bigfoot Myths. The ending is quite sympathetic to Bigfoot and, in fact you become quite empathetic towards the big guy, who laments over the killing of his kind. By the story's end you unlock an achievement called "The Birth of The Conservation Movement Completed"
We just wanted to brighten your day by giving you the whole story and to inform you that kids and gamers are actually encouraged to conserve and respect Sasquatch. Below is the two-minute dramatic dénouement most have not seen. It's a moving speech made by Sasquatch himself and may drive some to tears. Well, we like to dig a little for each post we do. We already knew Stan Gordon's background was more UFO than Bigfoot, but we were pretty disappointed when we went to his website and his Bigfoot page was empty with only a message saying, "Bigfoot Corner. More about the local Bigfoot phenomenon will be here soon." dated August 16, 2009. Maybe his site is a work in progress. Regardless, Roger Marsh, the editor of Gordon's newest book, Silent Invasion, is drumming up some press and has penned an article for the examiner.com. The article is reprinted in full below. (Examiner.com November 2nd, 2010 6:55 pm ET) -- The next best thing to having your own UFO sighting or paranormal experience is to walk in the investigator's shoes. UFO and Bigfoot researcher Stan Gordon has been on the investigation trail now since the UFO crash at Kecksburg on December 9, 1965 - and with an incredible stash of eye witness testimony. 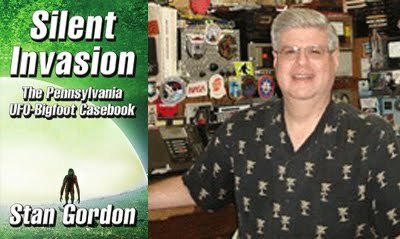 Gordon released the book - Silent Invasion: The Pennsylvania UFO-Bigfoot Casebook - with myself as Editor, October 30, 2010. The book is like an investigator's log as it takes you through a literal "invasion" of both UFOs and the Bigfoot creature over about a one-year period - from 1973 to 1974. The contents are structured so that you can read through short pieces on individual cases as they were being reported. While there were plenty of UFO sightings prior to 1973, and while the entire state of Pennsylvania - and the region - can lay claim to continued sightings - ground zero was surely Westmoreland County in southwestern Pennsylvania where most of the activity was taking place. My own personal UFO encounter and what we believe was a Bigfoot encounter - both occurred in Westmoreland County where I grew up. At age 16, it was a curious time. I had stood 30 feet from a disc-shaped UFO. This was a very intense time for Gordon as an investigator - and knowing the author, I'm not sure he would actually want to go through it again. In this era, UFO investigators were not necessarily talking to Bigfoot investigators - and the Bigfoot people were not talking to the UFO people. I think UFO researchers felt that they had enough on their hands without the introduction of some other, anomalous, creature. In fact, by merely bringing Bigfoot into the story, the UFO piece of the puzzle most likely dropped in valuation. You just were not believed. Having worked on this great work with Gordon for two years, and being obviously very close to the manuscript, I can say that the testimony was carefully gathered, and the entire book speaks for the UFO field. UFOs - whatever they are - whoever operates them - are real. And the Bigfoot creature - wherever this fits into the investigation process - and without any bodies to disscect - are also very real. Both Pennsylvania government and law enforcement during this period were alarmed at the incoming reports - both the high number of reports and exactly what people were reporting. Gordon was visited by high ranking officials at that time who wanted to know what he knew - and the Pennsylvania State Police forwarded UFO and Bigfoot reports to Gordon for his personal investigation. Some of the most interesting discussions Gordon and I had while preparing this book involved looking back at the many cases and how they fit together. You might have, for example, a family that resides along the side of a hill who reports that at 10 p.m. yesterday, they observed a hovering disc-shaped object over their home. But a second call comes in from a second family, living on the other side of the same hill. The two families do not know each other and they access their homes from different roads. The second family reports that at 10 p.m. yesterday, they looked out their back window and saw three Bigfoot creatures standing on their property. What then is the connection to a hovering and silent disc and three odd-looking creatures a stone's throw away? Did the craft drop off the creatures? Was the UFO hovering nearby so that they could pick up the creatures when their task was complete? What was their task? There are few books that allow the reader to come along for the investigation. This book does. Gordon lays it all out - case after case after case after case. If you only purchase one paranormal book this year - this is the book. You can purchase a signed copy of the book diret from the author here. 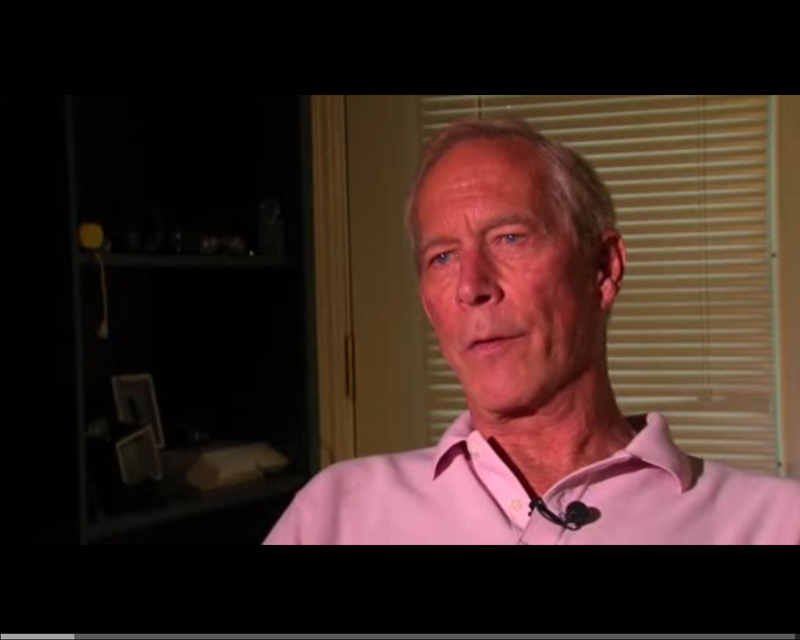 And just to entice you to buy the book - take a look at this video interview I conducted with one of Gordon's investigators - George Lutz - who was with him during the Uniontown, PA, UFO landing case that involved the Bigfoot creature. This is one of the most outstanding cases logged in during 1973 - and in this video you get to hear the case directly from a man who was there. There are eight parts to the video. Each part is better than the previous. Lutz starts out filling us in on his military background, but this is just filler until you hear the details on his extroidinary case. 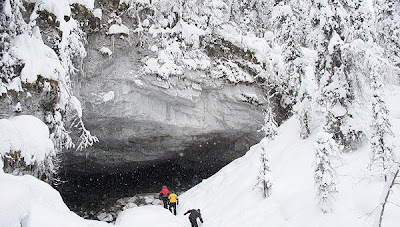 Kemerovo, a Siberian coal mining town with lots of caves, is a yeti hot spot. A hot spot in Siberia may sound like a contradiction, but this place is so hot, they are celebrating the Yeti on Nov 11th for the entire day. 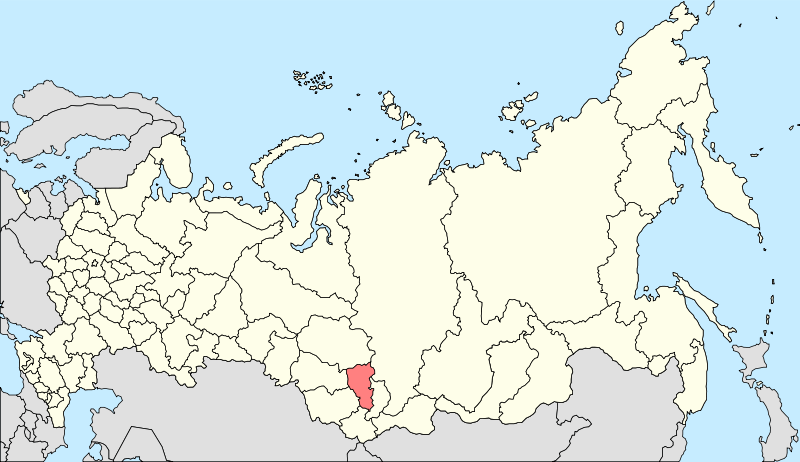 When we looked through our history of Kemerovo post, not only were we surprised we had a history of Kemerovo posts, we also found the post to weigh heavy on the paranormal side. Below is a picture of a the Azass Cave in Mount Shoriya where hairy hominids have been spotted before. An article by RIA Novosti follows. KEMEROVO (Russia), November 2 (RIA Novosti) -- Russia's Western Siberia will celebrate Yeti Day on November 11, the head of the regional culture and national policy department, Larisa Zauervayn, said on Tuesday. 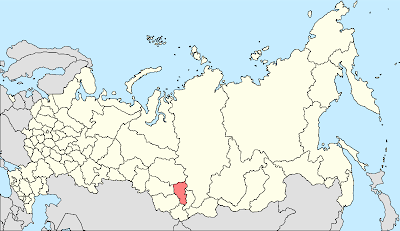 In February 2009, the Kemerovo regional administration released a report that local hunters had spotted "some hairy humanoid creatures with a height of 1.5-2 meters [5'6"-6'] near the Azass Cave in Mount Shoriya, near Siberia's renowned ski resort, Sheregesh. The report was illustrated with a photograph from inside the cave showing the footprint of an unidentified creature. Several advertising and PR experts said that Bigfoot reports were probably teasers for attracting tourists to the region. Three months after the sensational news tourism agencies had introduced excursions to "Yeti's Cave." "This creature is extraordinary and deserves, in our opinion, its own holiday. On Mount Shoriya Yeti has sparked a total mania," the head of Kuzbass's Tashtagol District, Vladimir Makuta, said. "Every year Yeti Day celebrations will mark the start of the ski season with thousands of ski lovers from all over Russia gathering on Mount Shoriya," Zauervayn said, adding that Kemerovo Governor Aman Tuleyev is likely to take part in the Yeti-dedicated festivities. According to the head of the department of anthropology at the Institute of Ethnology and Anthropology in Moscow, anthropologists have never seen or studied the body of a Bigfoot or yeti, although there are numerous reports of their sightings throughout the world. North Carolina's local Fox 8 has released a video interview of Mike Green. Famous among Bigfooters for his thermal "Squeaky" video, Mike Greene is the retired Chief of a State Fraud Investigations Bureau. He has a Master’s Degree in Psychology, and is a Court Qualified Questioned Documents Expert, and former Investigator for the Public Defender’s Office. His hobby for the last 20 years has been searching for proof of this elusive beast. ASHEBORO, N.C. (WGHP) — A man that once worked as a fraud investigator claims he has captured an image of North American folklore. Mike Greene, a former chief of fraud investigation in New Jersey, claims he captured video of Bigfoot in the Uwharrie National Forest over a year ago. "In the middle of the night, I was awakened by what I call, 'Darth Vader' breaths," said Greene. Greene said he was able to capture a thermal image of Sasquatch that night. "The image is the first comprehensive thermal image of a Sasquatch… even though I admit that it's blurry," said Greene. In the video, Greene claims you can see a big creature come out of the woods and grab a candy bar that was set up to attract the Sasquatch. "It can't be anything else, I mean, it literally can't be anything else," said Greene. Greene said many people have said the image is just a guy in a fat suit or gorilla suit, but he claims the thermal image proves it's something different. "The heat signature - which is what you're looking at…the heat signature would be completely different. It would be splotchy," said Greene. "You could put a guy in a Bigfoot costume and fool night vision, because that's just like a video camera. But if you put a thermal image on him, that's going to look completely different." After seeing the video, Greene was convinced he had captured video of the much-discussed creature Bigfoot. "Yeah, there's no doubt about it," said Greene. Greene admits that he, and the rest of the Bigfoot Field Researchers Organization, are surprised there has not been better proof after several years of searching and many attempts to get a glimpse of the evasive alleged creature. "We have, in the organization, maybe 200 game cams out looking for Sasquatches. We haven't got one lousy picture of a Sasquatch, which doesn't make any sense, unless you think that maybe these things are so smart that they either see the game cam," said Greene. Greene said there is no doubt he caught one of the rare images of the increasingly evasive creature. "Clear as a bell, absolutely unequivocally, no doubt what it was - to me, anyway," said Greene. A majority of scientists discount the existence of Bigfoot and consider it to be a combination of folklore, misidentification, and hoax, rather than a legitimate animal, in part because some estimate large numbers necessary to maintain a breeding population. Greene said fossils of a sasquatch-like creature have been unearthed in China. He claims the creature came over the land bridge that used to exist between Asia and Alaska.